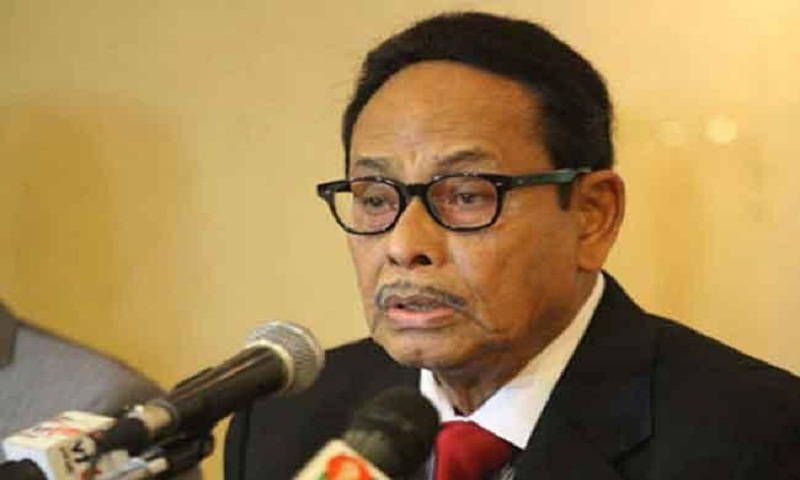 Jatiya Party (JP) has empowered its Chairman HM Ershad to finalize the list of party candidates in all 300 seats for the 11th parliamentary election. This was made public at a party programme at Emmanuel’s auditorium in Gulshan on Tuesday where the JP nomination seekers were interviewed, said a press release today. In a presidium meeting earlier, Ershad was given the charge to decide solely over forging alliance, finalizing candidates and other election issues. Some selected 780 nomination papers out of 2865 were given to the party chairman for finalizing candidates for the national election. Speaking at the programme, Ershad said this time the highest number of nomination papers have been sold since he stepped down from power. “It’s our big achievement,” he added. He said the list of candidates will be finalized for 300 seats. “Initially, we will announce candidates in 300 seats. Later, candidatures will be finalized consulting with alliance,” he said. Jatiya Party Senior Co-Chairman and Opposition Leader Begum Rawshan Ershad and its Secretary General ABM Ruhul Amin Hawlader also addressed the function. Party’s Presidium Members- Environment, Forest and Climate Change Minister Anisul Islam Mahmud, State Minister for Labour and Employment Md Mujibul Haque, Kazi Firoz Rashid, Ziauddin Ahmed Bablu, Syed Abu Hossain Babla, State Minister for LGRD and Cooperatives Mashiur Rahman Ranga and Advocate Salma Islam were present on the occasion.